Here find We Borrow the Earth and its follow-up Coming Home to the Trees. 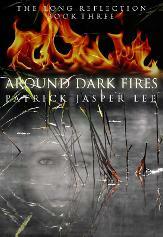 Please scroll down to find all books from Patrick Jasper Lee. The follow-up to We Borrow the Earth. Another rare book providing a unique glimpse into Romani Gypsy life hidden within the woodlands of the past. Do the trees themselves retain earlier memories of nomadic Gypsy people and their spiritis? 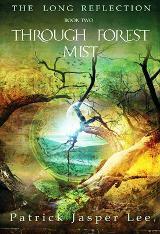 Who are the enigmatic Muchee Mulee who lived in the misty tree-tops? Who is Lady Mocheriben, the spirit Bokt and the spirit Parava? See more on the book below, and follow the links to purchase. Or go directly to Amazon and the author page of Patrick Jasper Lee. A simple, silent shadow seized a part of me and flew it through an invisible landscape, through a dark fire, within the otherworld. The Edwardian era of romantic Gypsy caravans and the twenty-first century come together in this third book in the series. Jukal is afraid of ghosts, yet they surround him constantly. Ancestors remind him that his descendants are relying on him for knowledge, traditions, and the otherworld. How will the lonely Tikni Chirikli cope when she falls in love with one of thsoe ancestors? Will she and Jukal manage the dark otherworld fire which the evil spirit Melahlo created within the line? Iuzio the Immortal and the ancestors are now treading dangerous territory. With a break in the ancestral line, ancient knowledge waning, and the modern world giving the Gypsy family a most difficult task, will the ancient line and the Long Reflection survive? Available from Amazon Kindle worldwide. Find this book on Amazon author page uk. Amazon author page USA. For Books 1 & 2 scroll down. Available now from Amazon kindle worldwide. Find this book on Amazon author page UK. Amazon author page USA. 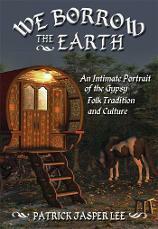 The follow-up to Patrick Jasper Lee's first non-fiction book We Borrow the Earth, provides another unique glimpse into Romani Gypsy life hidden within the woodlands of the past, uncovering an enchanting world of folklore, myth, spirits, the otherworld, and the natural landscape created by trees. Here, Lee reveals how an earlier Gypsy relationship with trees and the otherworld encouraged social, spiritual, emotional and physical wellbeing and stability. 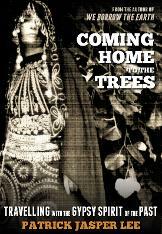 Do the trees themselves retain earlier memories of nomadic Gypsy people and their spirits? How much do the spirits play a part in our everyday lives, especially when it comes to the spirits who inhabit our sitting rooms, our bathrooms and our kitchens? Why should luck and destiny be so important to us now? Could it be that the trees themselves are the keepers of some of the oldest secrets on Earth? Available from Amazon - paperback and kindle versions. Originally published by Thorsons in 2000, this book is an authentic and open account of the author's shamanic traditions and culture, describing his unusual life as probably the last indigenous Romani Chovihano or medicine man in Western Europe. With added content and an extra chapter on Romani Gypsy magic in prehistoric England, this book provides a wealth of traditional knowledge regarding a mysterious people who have lived on the fringes of society in Europe for hundreds of years. Available from Amazon worldwide - paperback and kindle versions. 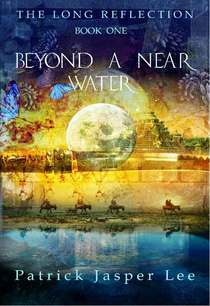 A tribe of ancient storytellers begin a journey down the centuries in search of a mythical homeland in the West. Exotic, passionate, colourful, theirs is a long-forgotten world of dreams, folklore, visions and magic alien to the developing worlds around them. To counter the threat of an ancient curse that is fast shaping society, Iuzio the Immortal, the tribe's invisible guide, must convince the beautiful Horki and the adventurous Ruslo Ruk to observe the ancient ritual of casting a true reflection. But who is the mysterious Chi, the face from the future that keeps appearing? As the tribe travels beyond the water, over the sea to England and into an uncertain future, how difficult will it be for Iuzio to guide his people into understanding who Chi is and to rebuild the crumbling bridge between the mortal and immortal worlds? Traditional nomadic Gypsies were the original fortune-tellers. Learn how to use everyday playing cards in the Romani Gypsy way, using air, earth, fire, and water, and other elements of nature. 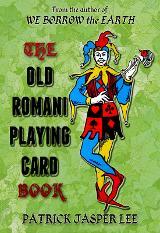 With detailed spreads for your own readings or for using the cards to read for others. THE DARKNESS IS NOT NOW: A Prehistoric Message from Mars - C. G. Browne. "The Darkness Is Not Now" is an experience. If you enjoy digging deep, you'll find this book provides original answers. It raises questions we sometimes dare not ask due our human love of stereotypical thinking. This is a story realistically told, via the Red Lady of Paviland (really a young man). It gives a voice to a people who played a major role 33,000 years ago, the artistic rock people of our Martian past. The book also introduces the "horse people", often the subjects of many of the cave paintings, and questions the mysterious artistic skills and the role Mars played long ago. Was Mars always a dead planet of dust? Perhaps it once held life and was once a dimension we no longer see or understand. 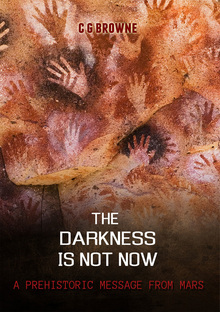 "The Darkness is Not Now" illustrates, in a subtle, reflective, poetical and earthy, way how our own world is steadily dissolving by our own hands because modern humans chose to push the beautiful Cro-Magnon people, or Pavilandians, into obscurity. Few authors dare to open a door to something original, with no restrictions on insight, imaginative solutions, and courage. If you love the arts, love nature, want to be inspired, and if you seek a never-before-told account of prehistory, this book is for you. Available worldwide in paperback or on kindle. How did humans perceive life, the world, and one another a million years ago? How was it different from the way we perceive life today? What does 'a million years' mean in a time when there is no time? Two dimensions—primitive and civilized—collided in prehistory causing chaos to the primitive world we call Earth. 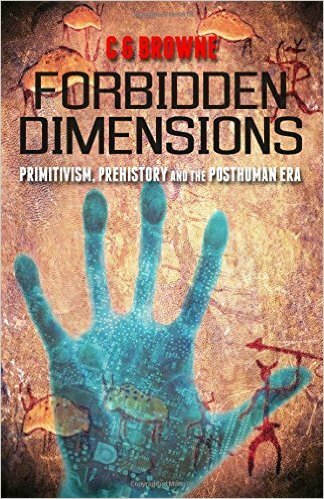 In Forbidden Dimensions, psychologist C. G. Browne argues that ancient humans were innately constructed not to change, and that the concept of development is at the heart of some devastating psychological and social problems we are facing today as a species. Has the ability to develop really evolved or has it been woven in? Will progress ever stop? Will humankind ever arrive at its destination or are we stuck in a trap, destined to time travel, modify, and adapt for eternity? Forbidden Dimensions is a challenging and philosophical exploration of past, present, and future Mind. Find this book on Amazon.co.uk Amazon.com Available worldwide in paperback or on kindle.